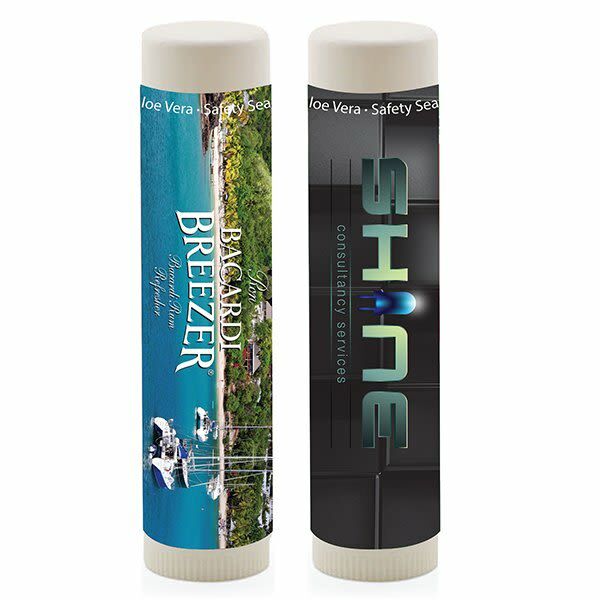 The perfect promotional item for outdoor events, salons, hotels, resorts or tradeshows. 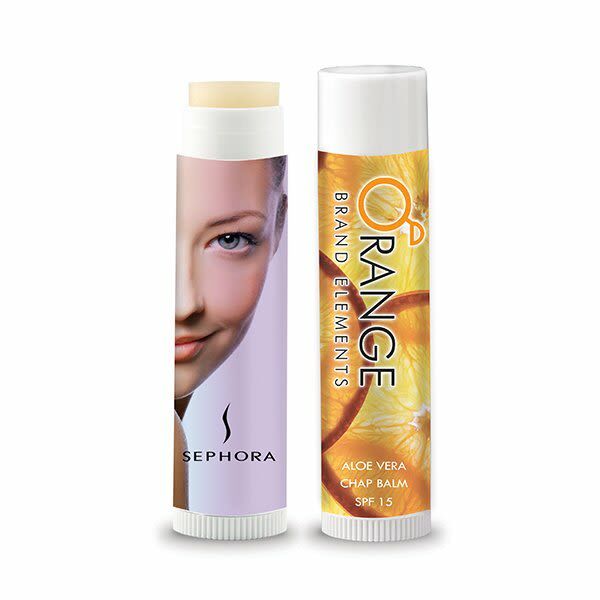 These customized tubes of lip balm offer SPF 15 protection and are semi-translucent in color. 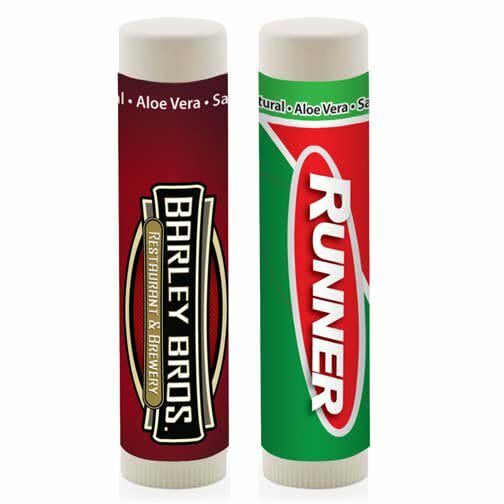 Made in the USA and FDA approved. A variety of flavors to choose from. Custom cap colors available for an additional charge. Each label is printed in full color process on a clear label. White or metallic labels available upon request. Please call for more details.